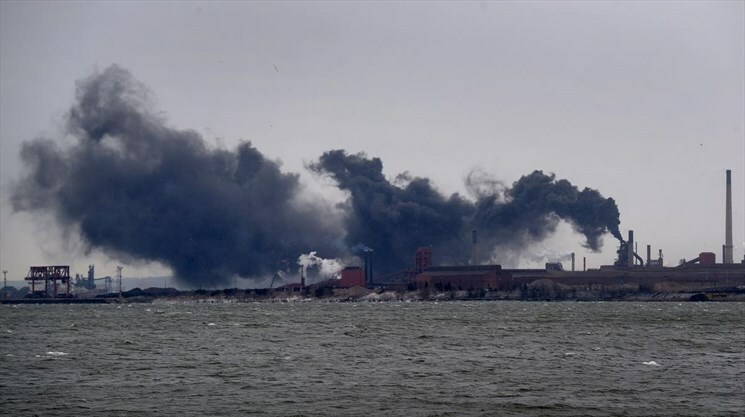 From Lynda Lukasik at Environment Hamilton concerning today's fallout from ArcelorMittal Dofasco. -First – call the Ministry of Environment at 1-800268-6060 to report the impact. The Ministry is investigating and I expect we’ll see charges against the company for this release. -Second – push for the company to compensate you for any cleaning costs! Ed has provided the link to the relevant section on the company’s website but, honestly, they will need to be pressured to clean up any mess they’ve caused. Further to my earlier email and in addition to the ongoing investigation, I should also mention that the Ministry of Environment, Conservation and Parks was notified. If anyone in the neighbourhood wishes to contact ArcelorMittal Dofasco they may call (905) 548-7200 and enter 0, anytime (24 hours a day / 7 days a week) for immediate response. Also, they may e-mail environment.dofasco@arcelormittal.com which, depending on the time of your e-mail, may delay any response until the next business day. I'm writing to let you know that we've been informed of two upcoming court appearances for Hamilton industries that have had problematic incidents within the last year and a half. Both ArcelorMittal Dofasco and Ruetgers are facing charges. The Ruetgers incident is that nasty one that occurred back in December 5th of 2017 - sending that noxious yellow cloud towards the Beach Community. The company is also being charged for 3 other coal tar pitch vapour releases. The AMD incident was that significant No 2 blast furnace release that occurred back on July 13th of 2018 - lasting over an hour. The court date is set for Wednesday, April 17th at 1:30pm in Courtroom 100 at 50 Main Street East - the building on the south side of Main between John and Hughson and right across the street from the John Sopinka Courthouse. In the past when charges have headed to court, we've gone to 'bear witness' - to send the message that community is unhappy about the impacts these companies are having. We have also used these dates to generate media interest - and create opportunities to let the community continue to communicate its concerns about these issues. Is anyone interested in coming to court on the 17th?